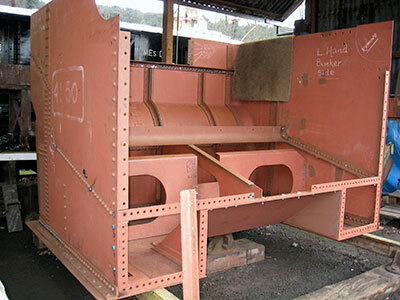 An update of recent progress on 4150 with the bunker very much on the home straight! A view of the inner structure of the bunker, showing the baffles in the water space. 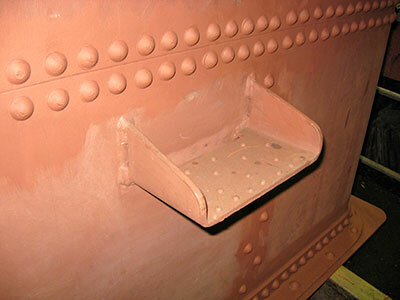 This view is no longer available, the front sheet of the bunker having since been riveted in place. 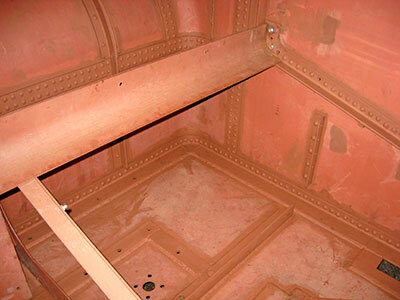 A look inside the bunker, showing the riveted side and rear sheets, and the welded angles and stiffening plates in the base. 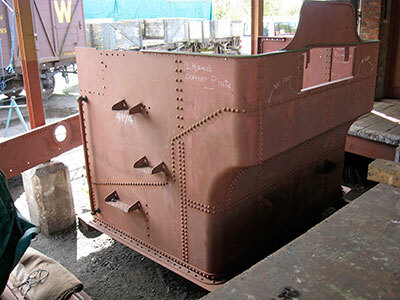 The smaller holes in the base are for bolting the bunker down on the loco frames, the larger aperture on the left is for the feed to the left hand water valve. The aperture on the right is for the balance pipe which takes water to and from the left hand tank. 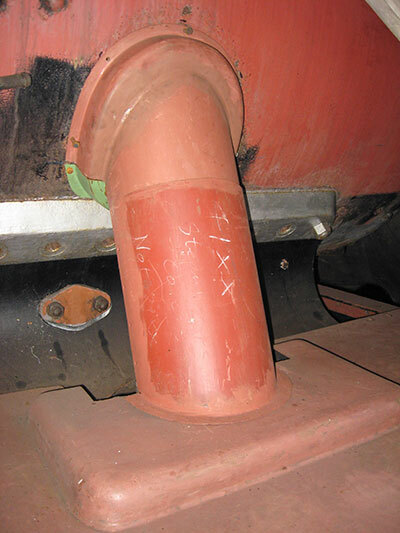 The curved plate across the centre links the upper and lower coal plates. One of our new footsteps, welded in place on the rear sheet of the bunker. These are needed for access to the top lamp bracket. The almost fully riveted bunker. The only items still to be riveted in position are the shelf on which the tool boxes sit, and the beading round the top edge. Martin Turbutt and his son Sam have been re-shaping and fitting the new steam pipe covers. 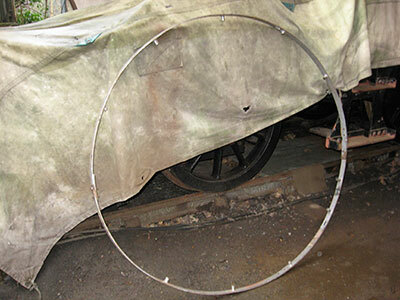 This is one of the 'crinolines' which will go round the boiler barrel and form a framework for attaching the boiler cladding sheets.